I threw it away a couple months ago. Sorry. Topic: T60 poor wireless speeds - wireless card or router? or both? Re: T60 poor wireless speeds - wireless card or router? or both? Thanks, Funky. I've only got 1 strip of 8GB in the machine. The bad strip has been removed. I let it run for about 10hrs last night..It was still grinding away this morning but with 0 errors. Will do. How many hours do you think it will take? Thanks. 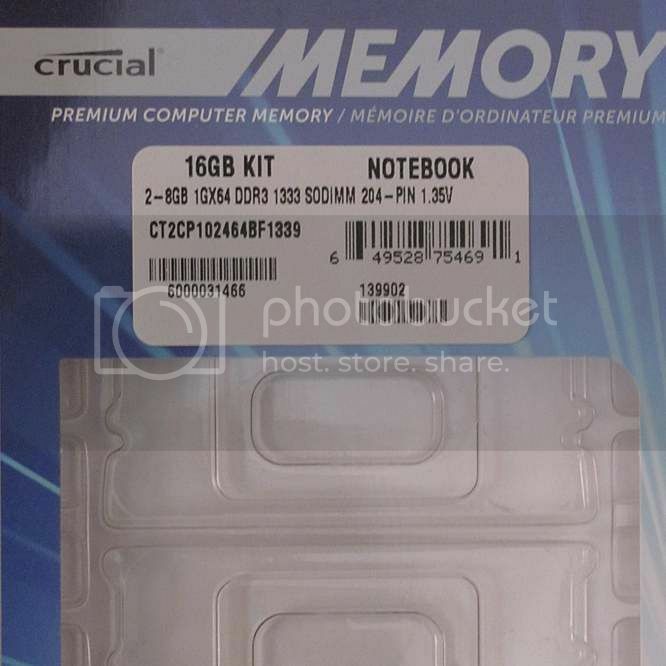 I've already ordered Crucial memory to replace the Corsair. I'll just eBay the Corsair when I get them back from the mfr to offset the expense. Thanks to forum brother underclocker for a quik and efficient transaction on a real nice E420 A pleasure to deal, answered all my dopey questions and I was in possesion of within 48 hrs ! Topic: "Fan error" - replace assembly, replace fan, or repair? Re: "Fan error" - replace assembly, replace fan, or repair? I just purchased the (OE) M10 long fan for our T43 last week and installed it. Fairly simple. eBay cost was ~ $30. This new fan is much quieter compared to the original, failing T43 fan. Topic: Rapidboot HA - what's it do? Re: Rapidboot HA - what's it do? No, the drive in my machine is the standard issue 7200 rpm. Albo, thanks for the run down on all of that. Ohh, I just found out that HA stand for HDD Accelerator. Of course !! Do we know what "HA" stands for ? How is this different from RapidBoot Shield (which is a complete dud, IME)? Got it, thanks! I've just got the standard 7200rpm h-drive, so it's simple for me. Yeah, it's silly when you consider how much 2GB cost a few years ago. Did you have to alter anything in the BIOS or make any other changes, Wolfman?